There is always a need for an organized system whenever organizations or individuals merge computer systems, change their systems or upgrade to new systems. This is when data migration can save your back by helping to get the master data from several disparate systems. With data migration, you can always be assured that the master data source, profiled and loaded into a system for effective processing and execution. There are several advantages of the migration process, but to get the best out of Migration systems, you should know what exactly is data migration, how the process works, what is data Migration Testing and what are the risk factors associated with the entire procedure. Have a look! The entire process of data migration is usually performed programmatically to get an automated migration. As the process is automated, there is no need for human resources, and so individuals are freed up from the tedious task of migrating data manually from one system to another. Also Read: Big Data Testing – What benefits It can Offer To Your Enterprise? What Are The Perks Of Data Migration? Can help to prevent data loss. Can help in the Hierarchy management system. Can help to enhance business revenues. Makes you eligible to work smarter and not harder. Includes versioning and auditing, so you stay updated with the latest tech. Makes your organization and working system more flexible. Identifies the business and operational requirements. 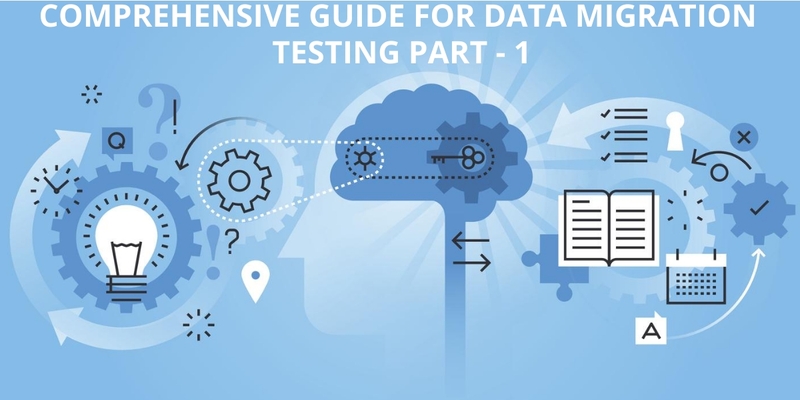 What Is Data Migration Testing? Data migration like any other process also faces a variety of challenges and risk factors. To overcome these challenges and to move data from the Legacy system to the new system without any data loss Data Migration Testing is essential and sometimes indispensable. No one can dissent from the fact that data is one of the major commodities that a business maintains, owns or controls and so it is essential to consider any data migration risk as high risk that should be subjected to validation and verification efforts. Migration Testing is elementarily all about coding the migration logic and hence testing a migration with a reflection of the productive environment. What Can Be The Testing Activities? Testing activities are too versatile to understand. If you are into data migration testing, then you have to identify as well as analyze the stable requirements, test all the flows in legacy application against and in favour of the new application and verify whether the entire application works correctly or not. If your system goes through the process and outcasts as a masterpiece then you will have an application that has multiple databases at the backend to support the huge data. Data analytics will be at your fingertips, and data enhancement can be achieved. Also, proper analysis of data can add to the quality of the data and data cleansing, and sampling can keep the database clean as well as effective. How Does The Migrations Testing Process Work? Apart from the actual data migration tasks, there are some functional as well as non-functional tests that are needed to kill the risk factors and reduce security concerns. Due to all the complexities involved in the process of data migration, specific tests at all stages are necessary.